Sometimes in life you just have to act. And that time is NOW. I have always played with the idea of initiating a campaign to end plastic pollution; it’s a cause that is very dear to me. And I recently had the opportunity to join forces with Swiss avant-garde watchmaker TAG Heuer and make it happen! Last week, on September 25th, we proudly unveiled #EsTiempoDeActuar — a worldwide initiative that will bring awareness and solutions to ocean plastic pollution. 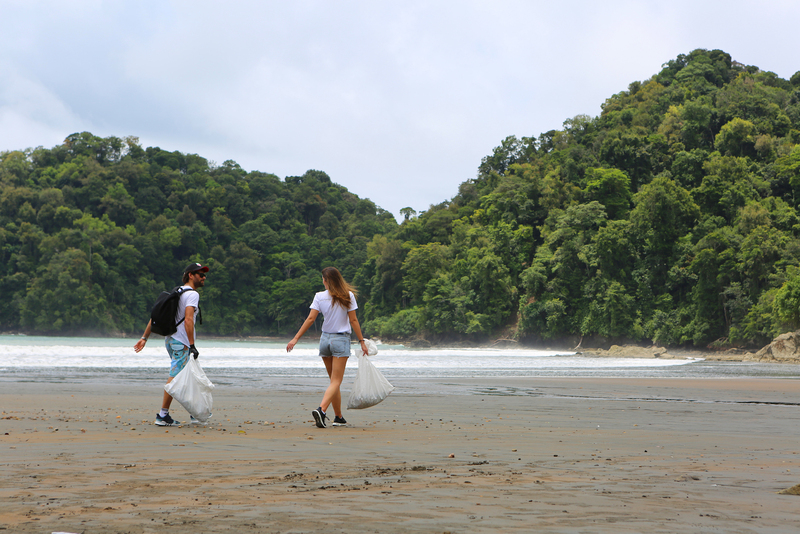 We chose the beach of Jurubirá, in the Chocó region in Colombia, as the first area benefitting from the initiative, and it was no coincidence. I had been in the region for another project a few months ago, and I knew that the situation there was particularly serious. I had seen it with my own eyes: tons and tons of micro plastic waste all over the beach. It was a horrible view; it felt like a slap in the face, something that reminded me that there is no more time to just read about how our environment is being trashed: WE MUST START DOING SOMETHING. .#EsTiempoDeActuar!! The day started with a plastic collection where I was joined by fifty students from nearby schools, ages 6 to 16, who all helped pick up garbage. It was a day that proved to be a truly enriching human experience. 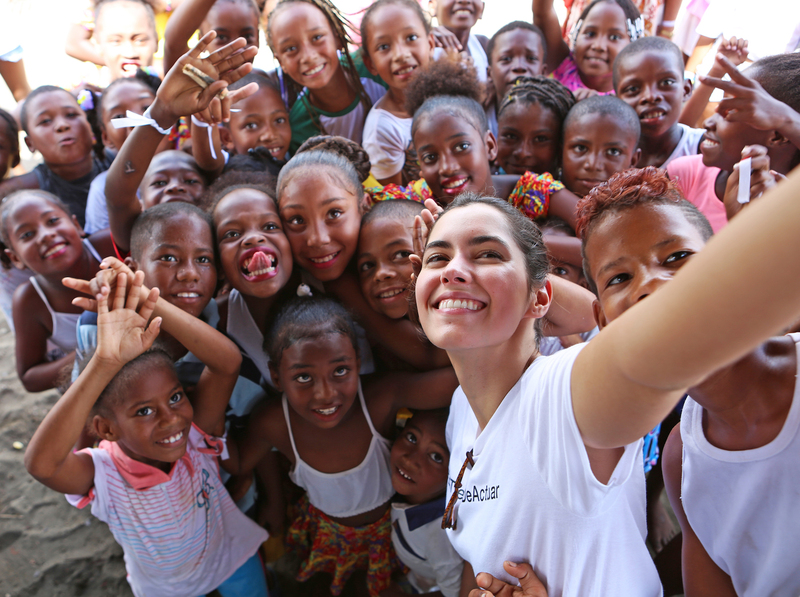 The atmosphere was very exciting; the students were hugging me and holding my hand, wanting to take pictures and talk to la reina (the queen) as they best knew me. And they made quite a lot of smart jokes too! Plastic pollution is a very serious problem, and the solutions so far aren’t many: the excessive use of the material and a lack of good habits for its disposal and recycling is damaging entire ecosystems. Plastic is being dumped carelessly on land and in the water, and it ends up in the sea—horrible masses of materials floating and killing sea life. Here you go: BY 2050, THE OCEANS WILL CONTAIN MORE PLASTIC THAN FISH BY WEIGHT**. And there is another piece of very bad news: many species of fish are eating plastic trash. Which means that we eat fish that eat plastic. Oh, and over 70% of the Earth’s surface is water covered* so it is crucial for each and every one of us to understand how important it is to preserve its essence. If this doesn’t alarm you, I don’t know what will. While my support is certainly only a drop in the ocean, I believe that each one of us has a voice; everyone can influence someone, starting with their family and circle of friends. And we cannot stop at just talking about the problem: #EsTiempoDeActuar! Together we can make a difference! 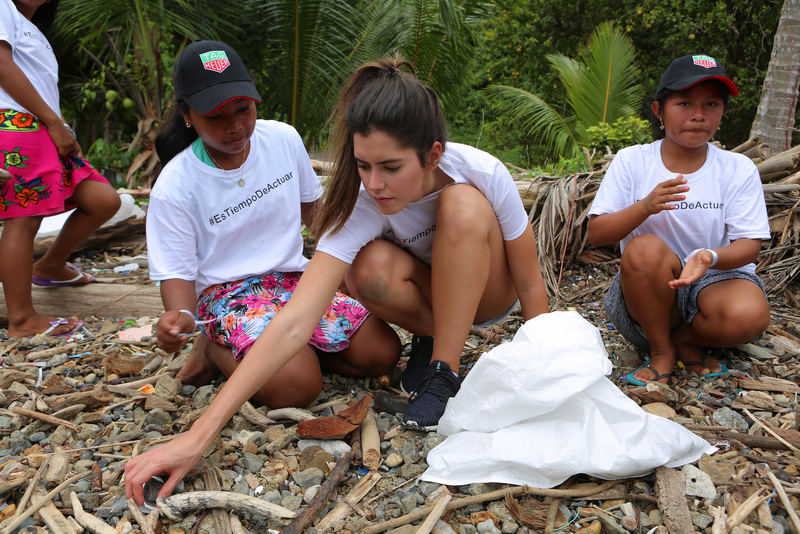 As a TAG Heuer “Friend of the Brand,” it is a true honor for me to be collaborating on this initiative to raise awareness on plastic pollution and bring it to a bigger scale. This is only the beginning and I will keep you posted on any next steps. Or actually, you should join me next time…will you? 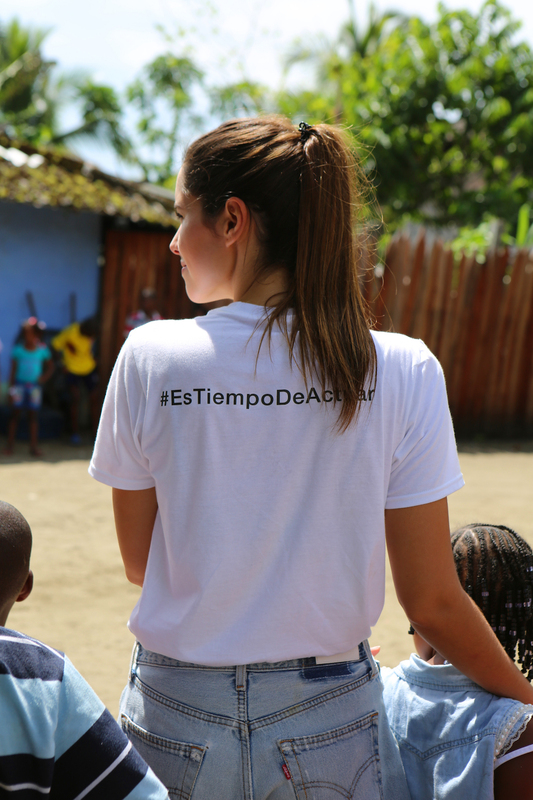 TAG Heuer will contribute to the cause as well, allocating a percentage of the proceeds from all their Aquaracer watches purchased in Colombia for the next two months. The funds will be used to provide a plastic compactor machine for the region of Chocó, to reduce the waste collected and make it easy to transport it to different locations to be recycled. I feel very close to this brand, to its personality and values, its tagline being “don’t crack under pressure.” The first time I read it, I immediately felt like it was the definition of my own life: everything I have done so far has been under pressure, and I love it. But the key here is the “not cracking” part. The harder it gets, the more one fights. Isn’t that right? After all, it’s when you feel the pressure and when you are passionate about something, that you give 101%, despite all difficulties, against all odds. I feel very proud to be working with a brand whose motto is everything that I’ve been living by. It makes me want to give more, get inspired, and hopefully inspire others. On these pages you will read more about the next steps of this project and I would love to launch a massive beach plastic collection where we can all join. For the time being, let’s start by doing our individual duty and clean up after we spend time by the ocean or anywhere else. Let’s all also try to reduce the use of plastic in favor of other, less contaminating materials. It’s really simple, we can all do it, and we can all make an oceanic difference when we join forces. Me encantan este tipo de causas! Gracias por aprovechar tu nombre, tu fama y capacidad de influir, en algo tan importante como es el cuidado del medio ambiente! Por favor más contenido sobre esto! El cambio es ya. Gracias! te amo y te admiro montones, gracias por ser partícipe de dichas causas, por empoderarte de la parte ambiental. te envío un beso fanspaulinavega08. We are tuned with the same cause, congratulations, go ahead. Best. NEXT OMG: I Left my Crown at the Airport!